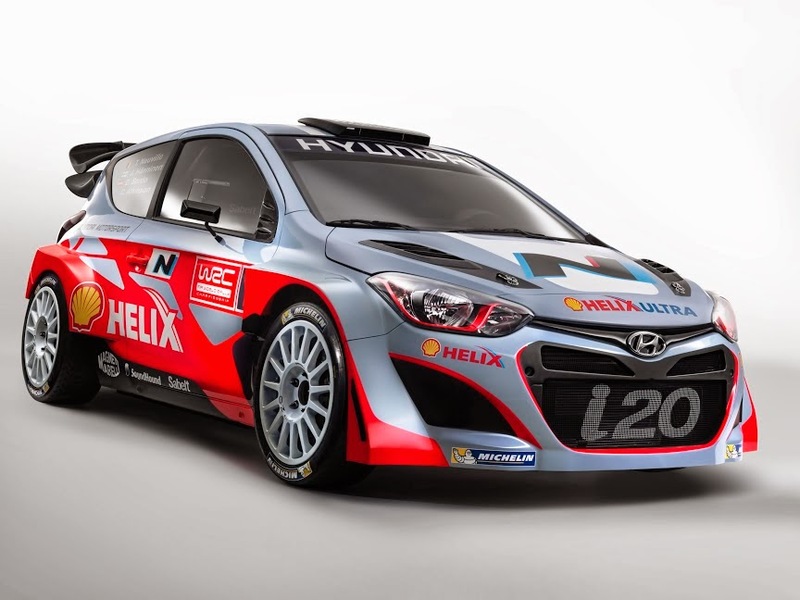 January 10, 2014 - In just over a year since its establishment, Hyundai Motorsport is ready to join the ranks of the competitive FIA World Rally Championship (WRC) next week with two Hyundai i20 WRC cars entered into the prestigious Rallye Monte-Carlo, round one of the 13-rally 2014 WRC season. The Alzenau-based Hyundai Shell World Rally Team will line up against experienced opposition in the gruelling Monte-Carlo event with just six months of testing under its belt – a total of 8,000km amassed over 16 test sessions in Europe. Rallye Monte-Carlo will therefore act as a continuation of the team’s impressive learning curve as it adapts to the rigours of the WRC. 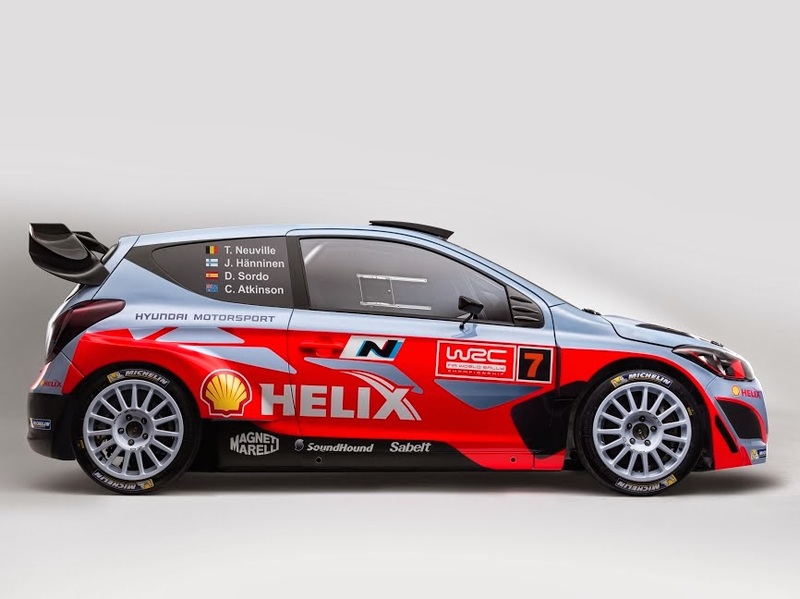 As a brand new entrant to the WRC, Rallye Monte-Carlo will mark the first appearance of the Hyundai Shell World Rally Team and the Hyundai i20 WRC in the series and will also herald the competitive debuts of Belgians Thierry Neuville and Nicolas Gilsoul, as well as Spaniards Dani Sordo and Marc Martí behind the wheel of their respective Hyundai i20 WRCs. Rallye Monte-Carlo represents an enormous challenge for the nascent team being one of the trickiest and toughest rounds on the WRC calendar. 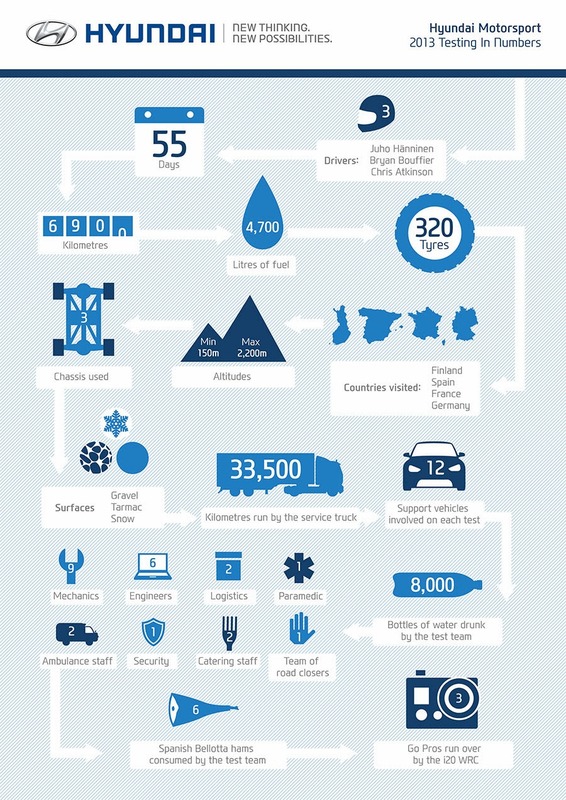 Despite its inspiring achievements to date in preparing two Hyundai i20 WRC cars for competition in such a short space of time, the Hyundai Shell World Rally Team has set realistic objectives for the initial rallies of 2014: to accumulate as much mileage as possible with both cars and to gain valuable experience in competition. Each rally will mark another important step forward in the team’s ongoing development. “We have established a young team of highly talented professionals at our factory for this moment,” said Team Principal Michel Nandan. “At Rallye Monte-Carlo, the huge amount of work that we have collectively carried out so far will be put into practice. This rally has been the first major target in our development schedule and finally we’re there; it’s a hugely significant and special moment for us all. Of course, the ‘Monte’ is a complicated and unpredictable event to start with but it’s great to debut on such an iconic rally,” continued Nandan. “We have two very good drivers who have given the whole team a big boost. We all know that Thierry can achieve outstanding performance levels despite his young age, while Dani has a lot of experience in WRC and at Rallye Monte-Carlo. I can definitely say that we have a very good mix! We have not set any results targets because our first priority is to finish the rally with both cars, to learn as much as possible and to use that as a base to improve for the following events,” he concluded. The Hyundai Shell World Rally Team prepared for the first event of the season last month with a week of testing in the French Alps with Neuville and Sordo sharing duties behind the wheel of the Hyundai i20 WRC. The Belgian and the Spaniard also completed an additional day of pre-event testing this week. On his seventh outing at Rallye Monte-Carlo, Sordo (Hyundai i20 WRC #8) will bring a wealth of past experience and a proven track record to the team in its debut event: “Marc (Martí, co-driver) and I are delighted to be starting this season with the Hyundai Shell World Rally Team on the team’s debut at Rallye Monte-Carlo. This is an event where I feel really comfortable and I have a very good experience on these roads although it’s such an unpredictable rally –anything can happen depending on the weather conditions you find along the way. We want to finish this rally and give the team as much feedback as possible to continue the development work,” said Sordo. “We did a few days of testing with the Hyundai i20 WRC in December and one additional day this week. The first impression is positive although we all know there’s still a lot of work to do. The aim of the pre-event test was to get to know the car as much as possible in first instance but at the same time we had to find the best set-up for the event. Even though we joined the team officially only one month ago, we already have a good feeling about the team–everyone is motivated, working hard and willing to do the best job possible,” the Spaniard concluded. A classic in the WRC calendar, Rallye Monte-Carlo celebrates its 82nd edition this year with the first being held back in 1911. This year’s edition features the return of the event to the Haute-Alpes region with an itinerary that includes 15 stages, totalling 383.88 kilometres of competitive tarmac stages run over three days. The changeable weather means the stages are incredibly treacherous making tyre choice a fundamental key to success on this event. Crews will have 40 tyres available (plus five for Shakedown) - supplied by the team’s technical partner Michelin - to choose from among four different compounds. With no Rally 2 regulations - which allow restarting after a retirement on the following day – Rallye Monte-Carlo will be an even trickier affair which requires drivers to be extremely careful as a single mistake could mean the end of the event. Rallye Monte-Carlo gets underway on Monday, January 13 with the traditional Ceremonial Start in the Principality’s glamorous Place du Casino. However, the real action will start on Wednesday with the Shakedown followed by the first proper day of competition on Thursday.